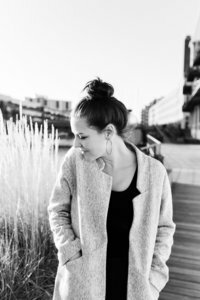 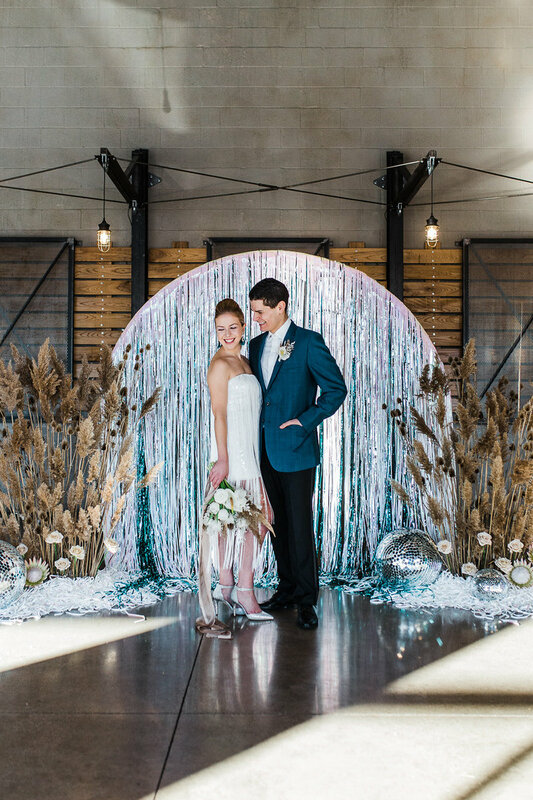 an artistic Wisconsin wedding photographer. 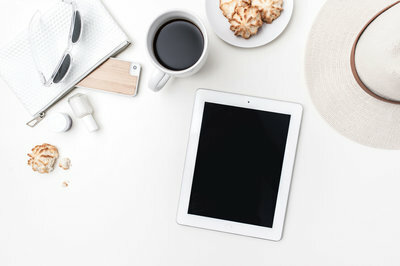 I'm a human who lives for cabin adventures with friends, hot coffee, exciting stories and vegetarian food. 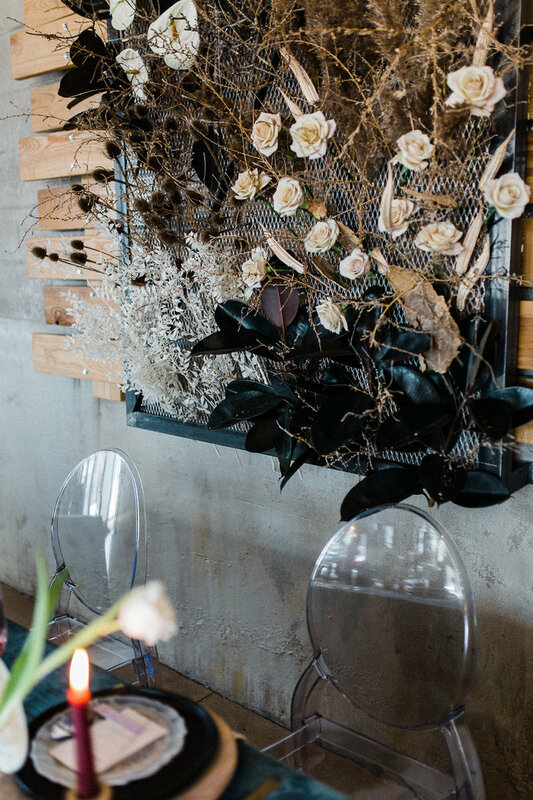 I consider myself a professional third wheel; someone you could hangout with, who appreciates the authentic unfiltered version of you! 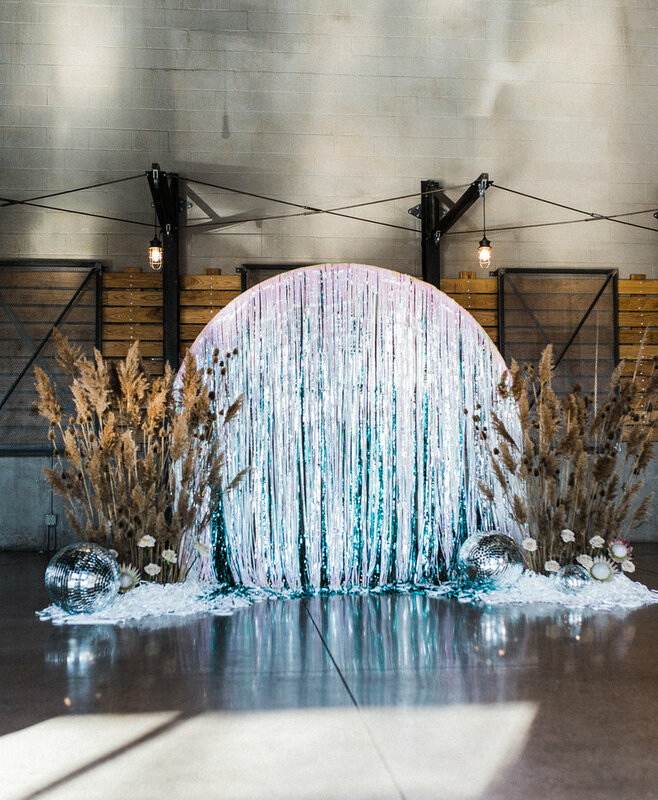 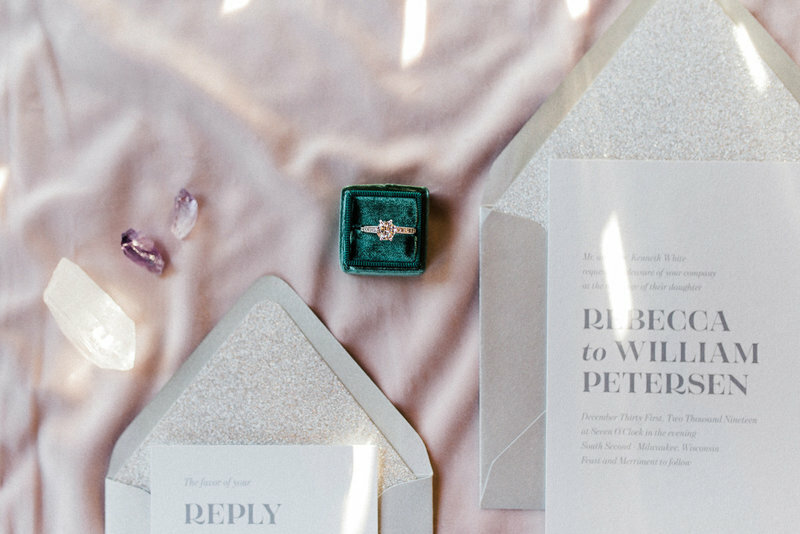 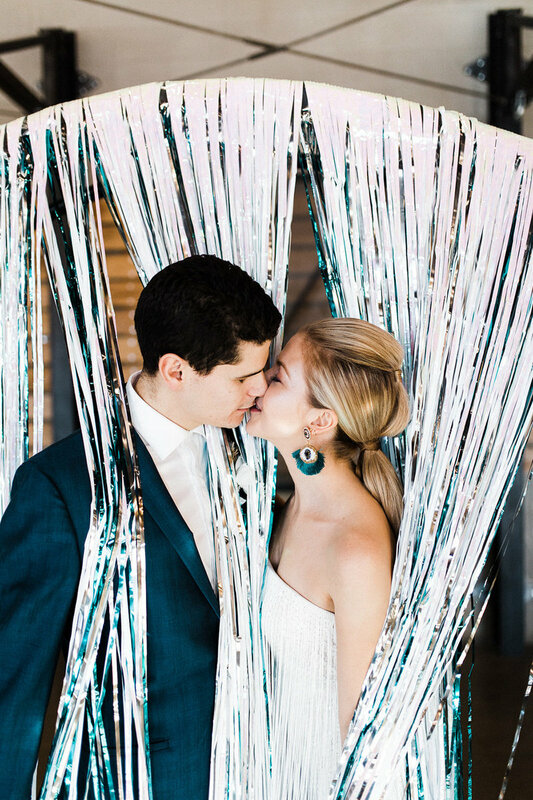 "While Wisconsin winters can drag on, this creative team decided to channel those icy feelings for something ultra-cool, ultra-modern, and utterly iridescent. 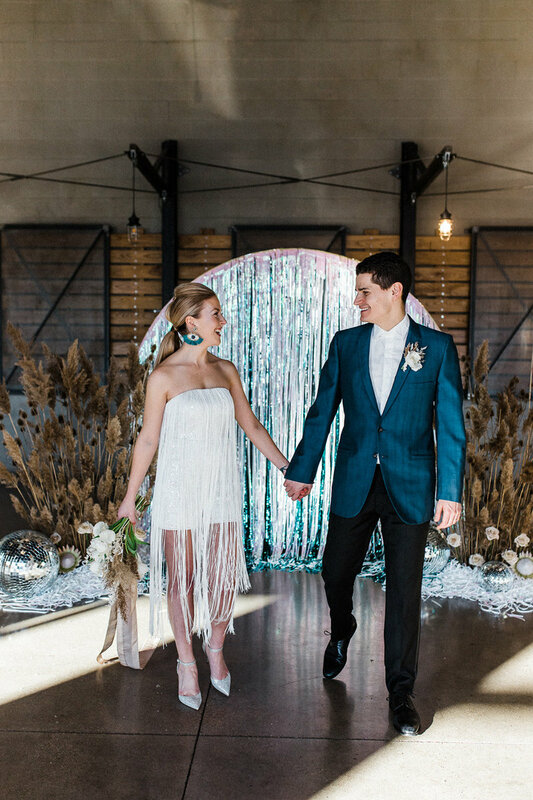 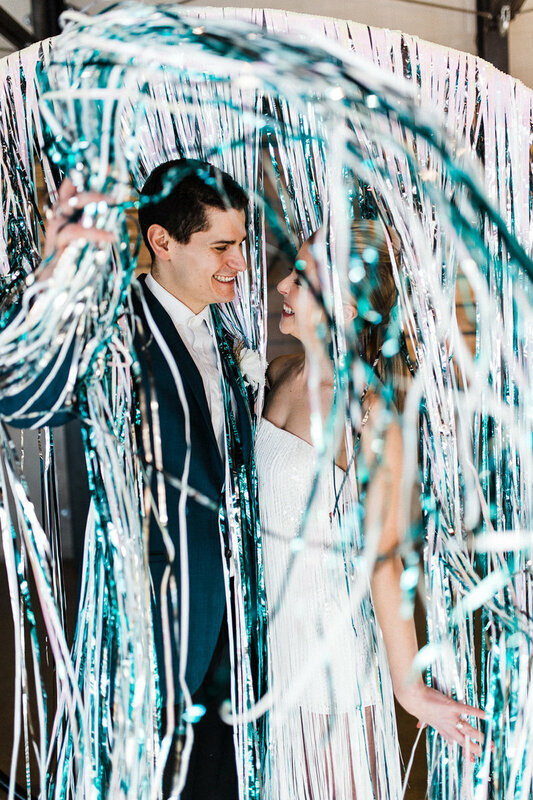 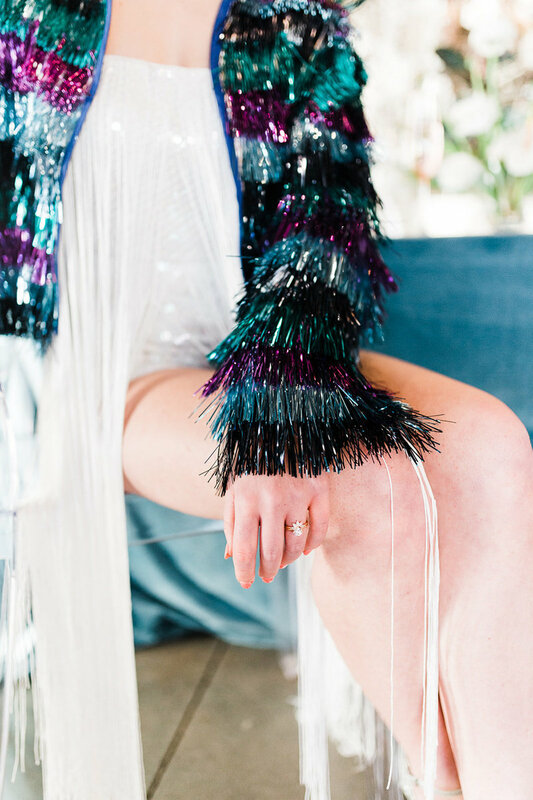 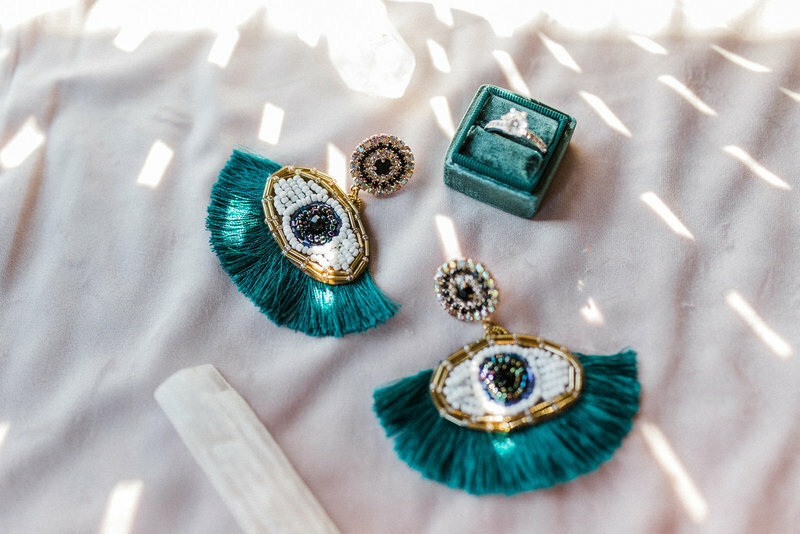 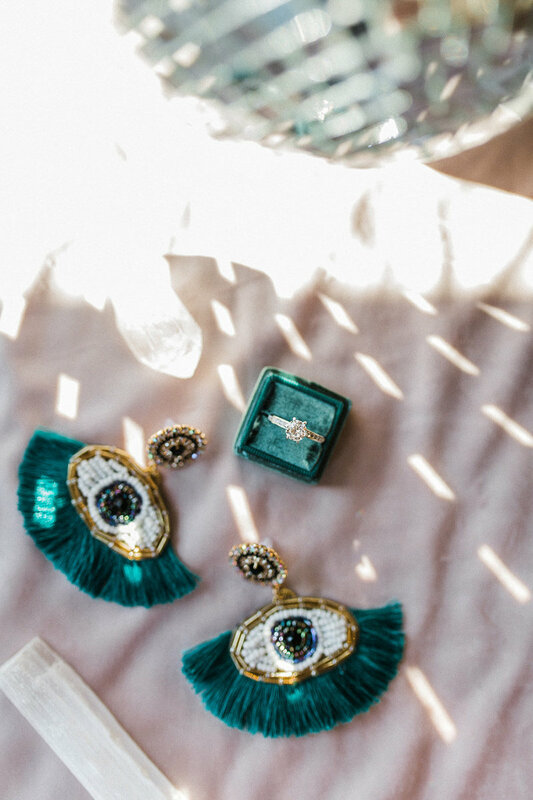 Danielle of Rosewood Weddings shares: What inspired us, initially, was finding leftover tinsel on the floor New Year’s Day. 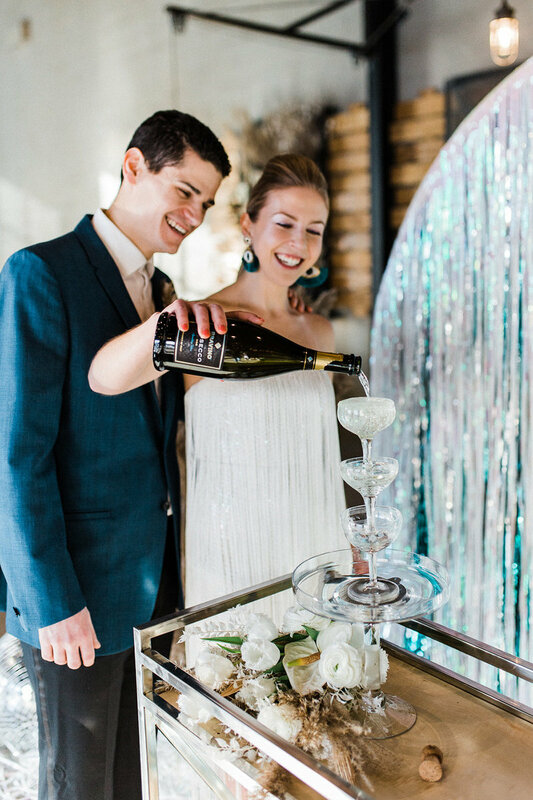 To us, all the luminous colors that popped up while ringing in 2019 paired well with Milwaukee’s frigid, dry winter. 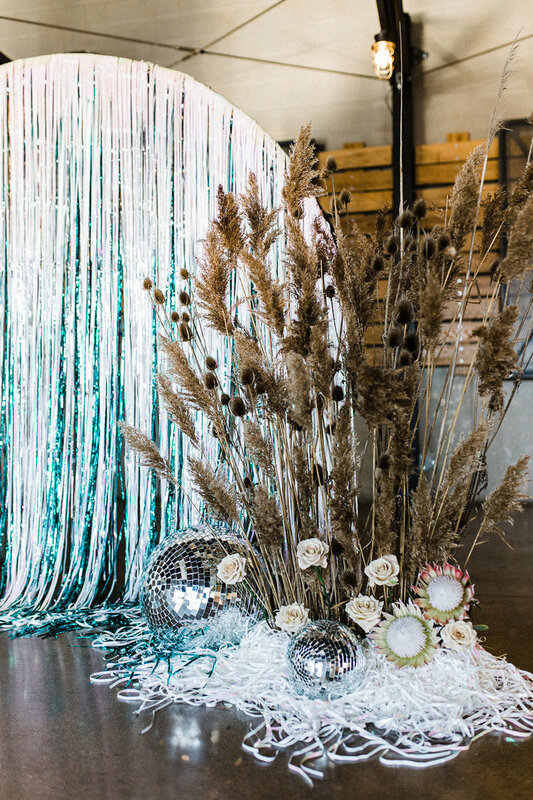 That leftover tinsel served as the main palette inspiration: silvery blues, iridescent purples, and heaps of glitter. 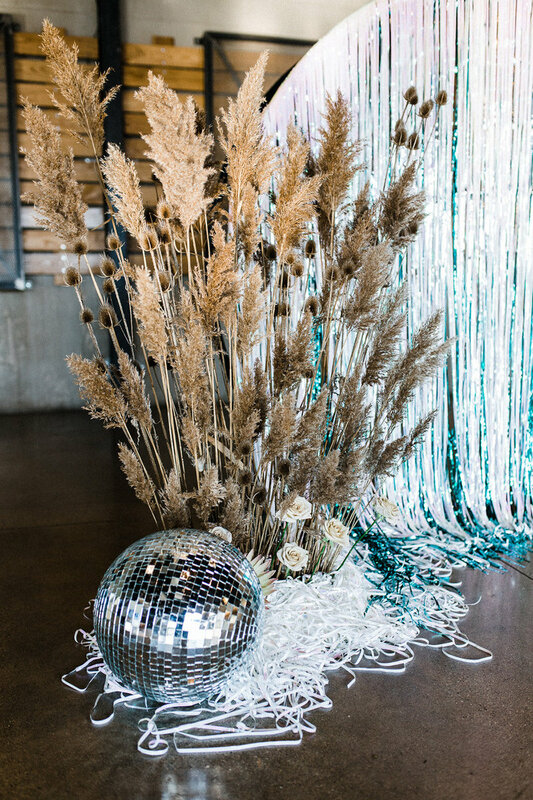 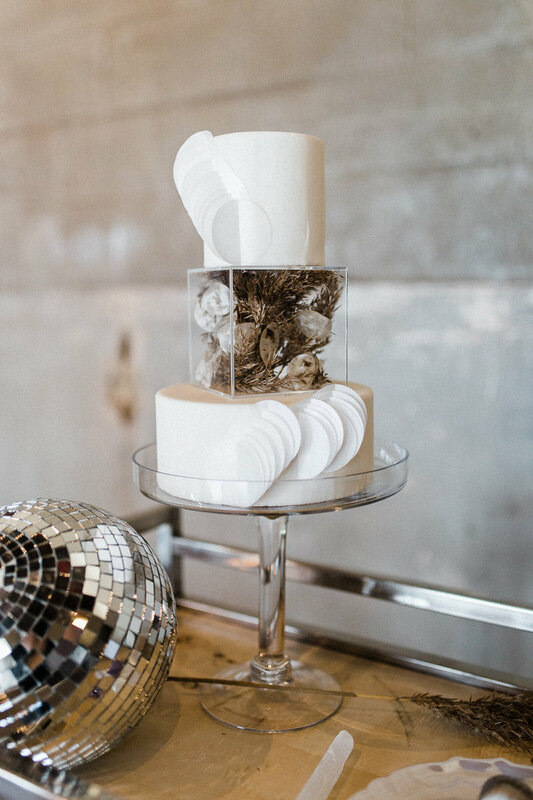 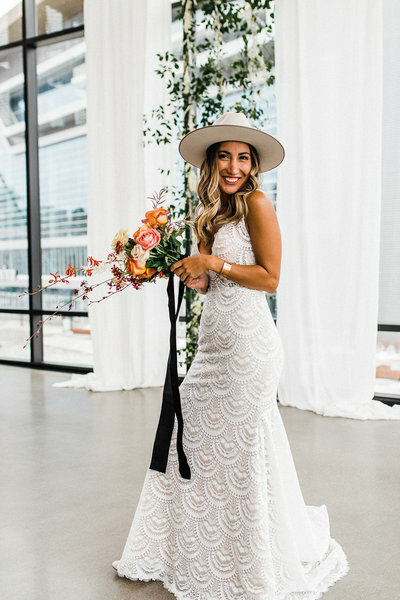 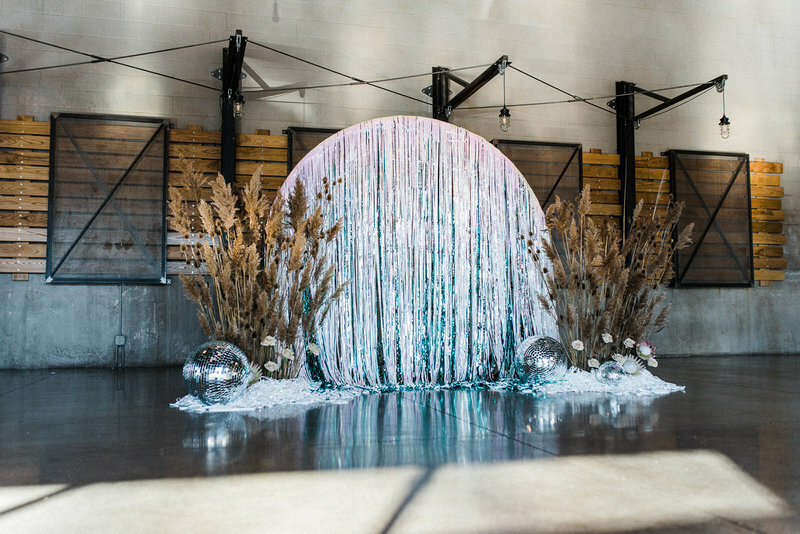 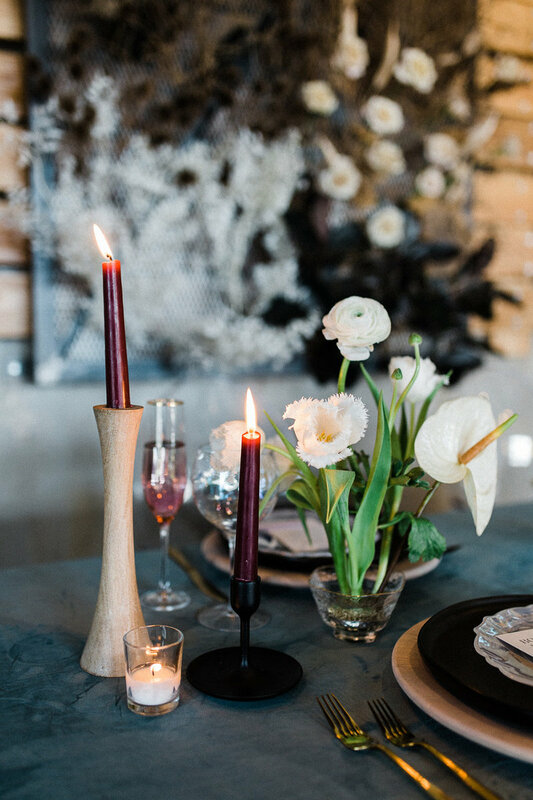 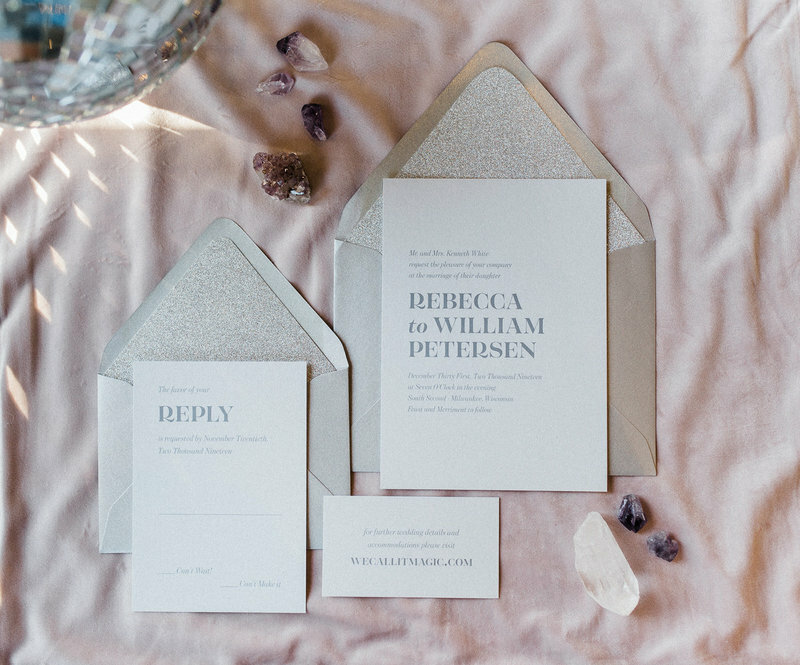 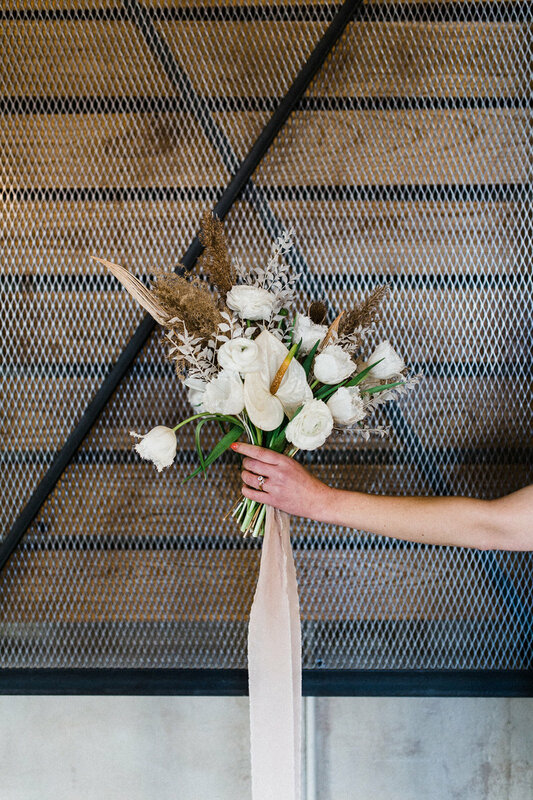 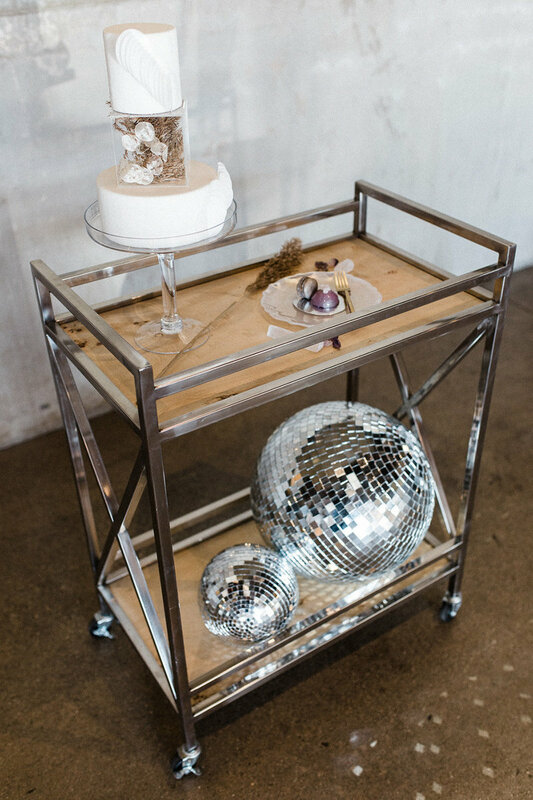 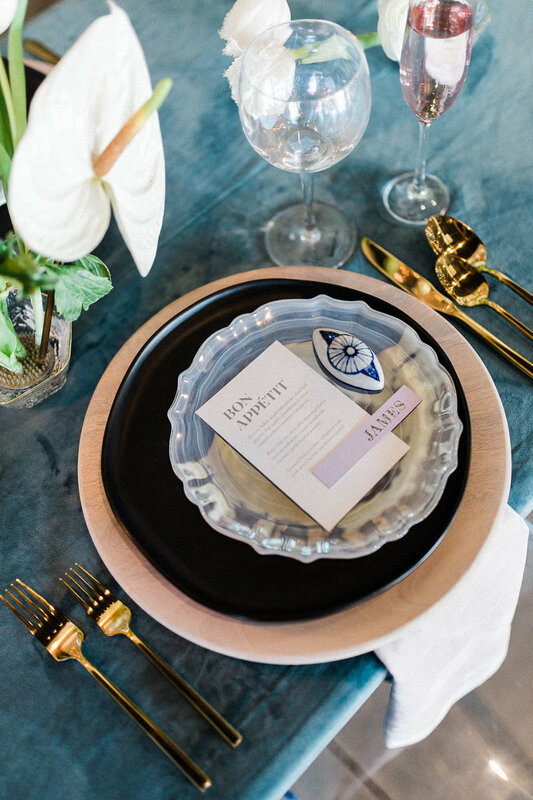 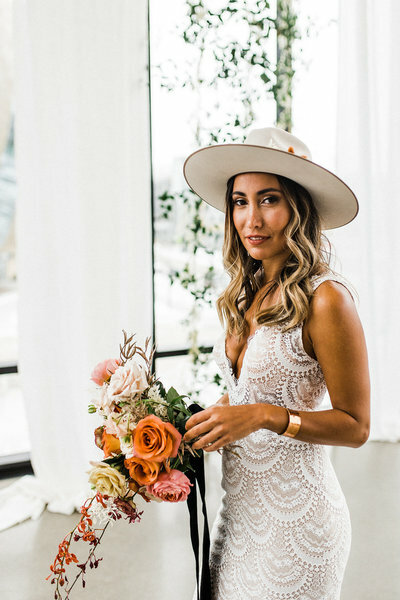 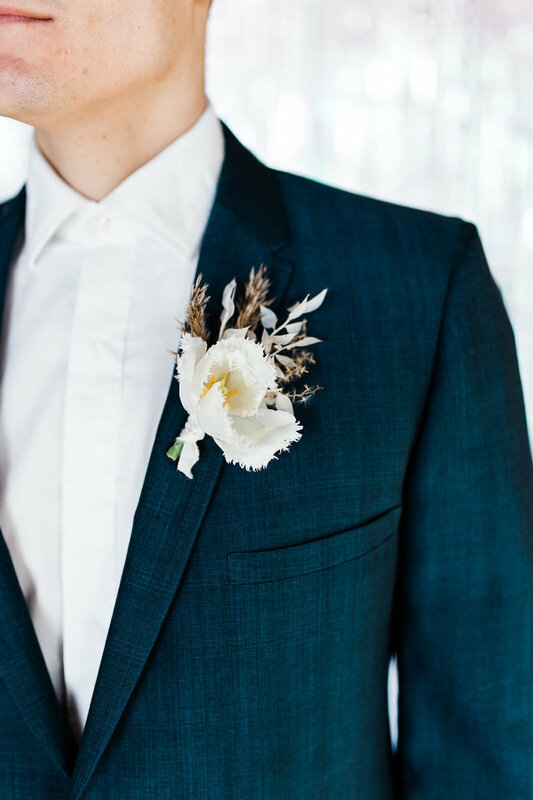 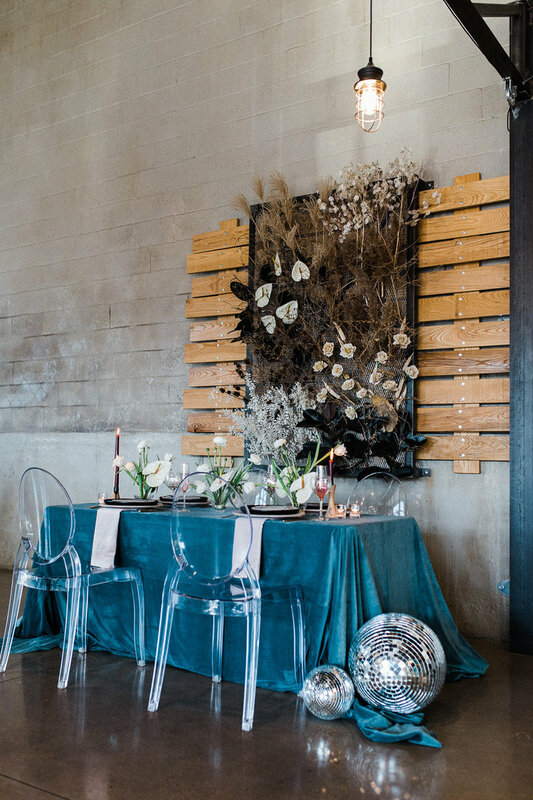 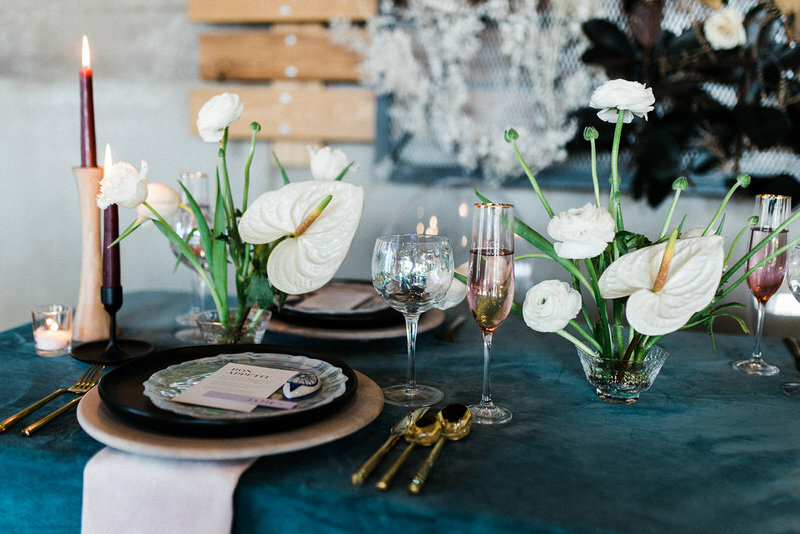 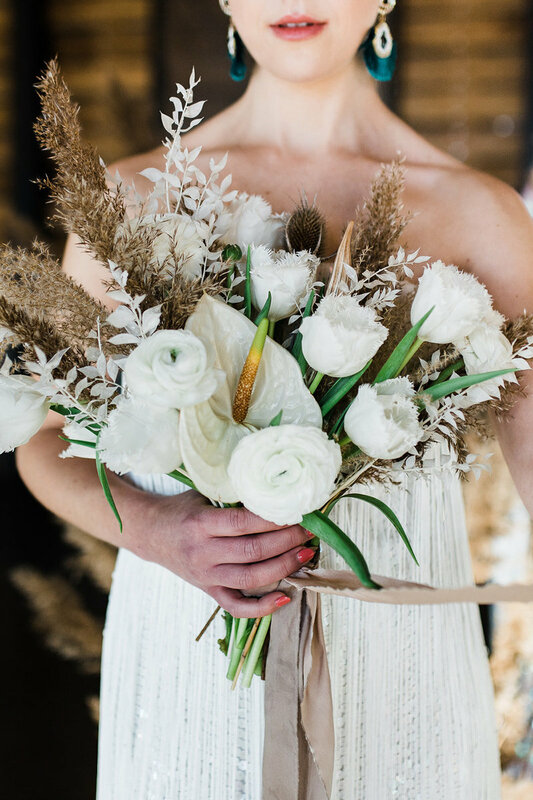 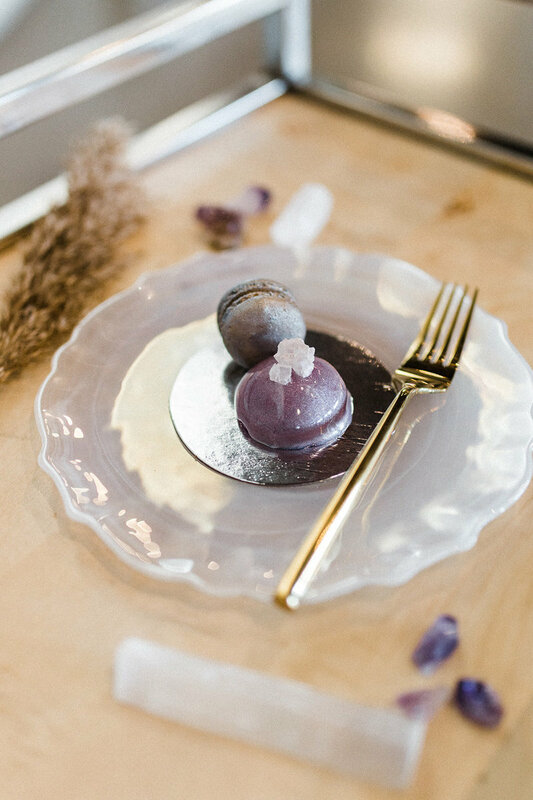 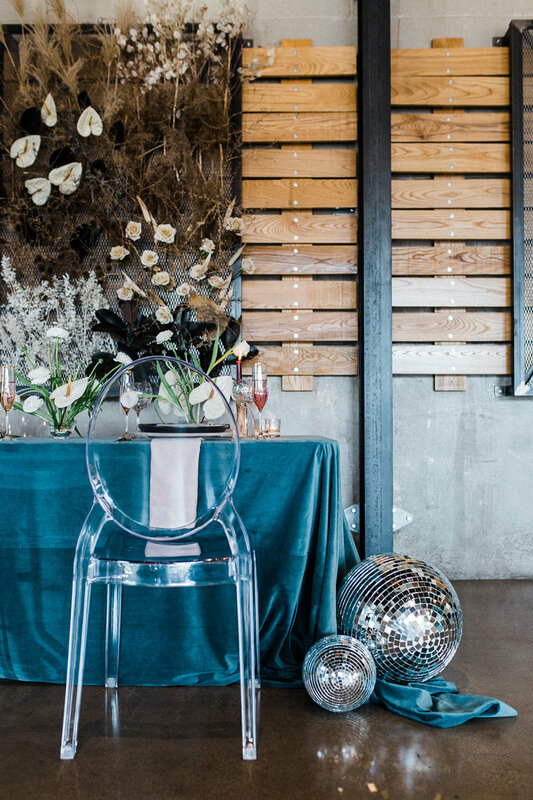 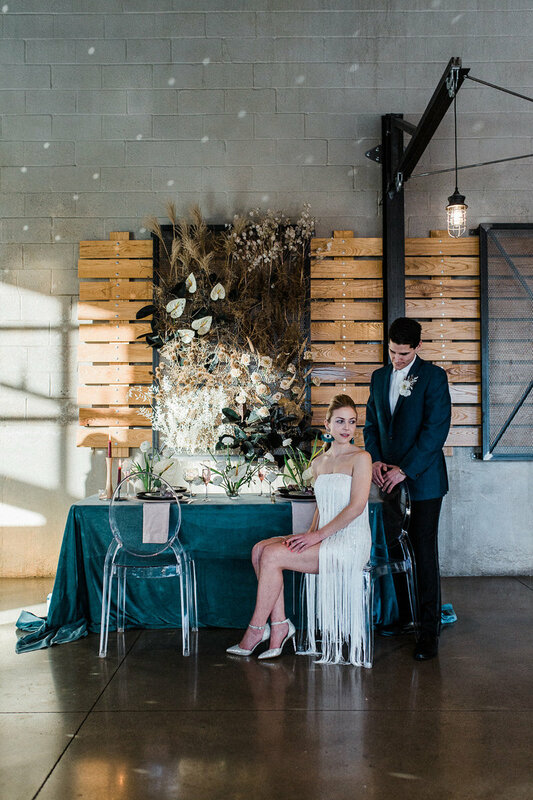 To add an interesting contrast they introduced neutral florals and tons of dried grasses."